We have the right shears available for every requirement, such as the Gardena TeleCut Pruning Loppers. These are telescopic and have a high cutting force as well as an ergonomic shape. Why should we cut back plants? There are many reasons to cut back the different plants in our garden – for example, to thin out shrubs and trees so that more air and light can get into the treetops or into dense shrubs. Or to remove sick or dead branches. Or to keep fast-growing woody plants in check to stop them extending upwards too far, or to correct their growth. The most favourable time for cutting back plants is generally early on in spring, on frost-free days just prior to budding. At this stage, the open wounds caused by cutting trees and shrubs are quickly able to recover and can seal themselves off again permanently. Depending on your project, Gardena offers the appropriate shears: for example, secateurs, grass or shrub shears, as well as hedge trimmers, branch pruners or pruning loppers. One-hand secateurs are one of the most frequently-used cutting tools. They are used when cutting back flowers and roses, for example. Garden-lovers mainly use grass and shrub shears to trim lawn edges, but also to get box trees or shrubs back into shape. Grass and shrub shears are available as simple hand-held or battery-powered shears. The latter can in part be extended using a telescopic handle, making working with this tool easier on your back. 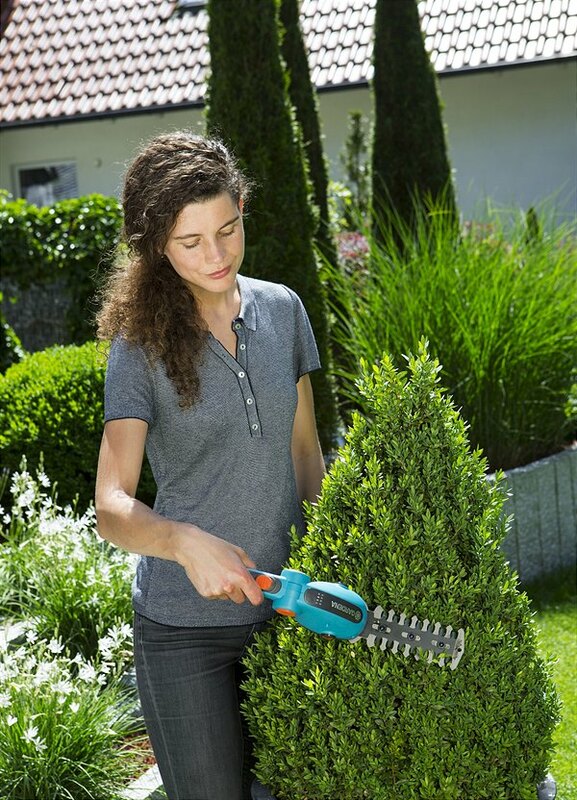 When trimming hedges, mainly battery-operated or electrically operated, powerful shears are used. Their cutting force shouldn’t be underestimated – they can even cut through cable and fence wire. 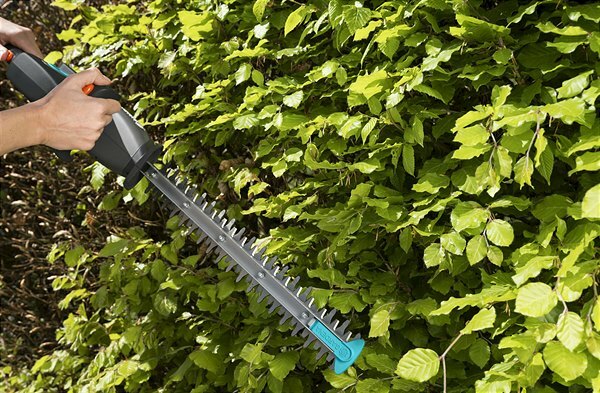 The impact protection on the lightweight Gardena Battery Hedge Trimmer protects the blade when trimming close to the ground. 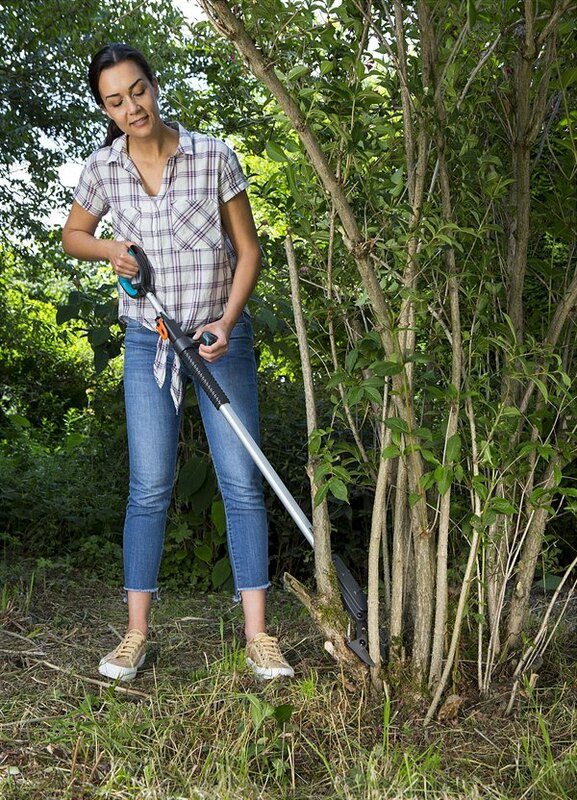 Pruning loppers, on the other hand, are designed to take on the heavy-duty work – meaning thick branches from approximately 2 cm in diameter and more. Depending on the type of tool, they are also able to cut through thicker branches. 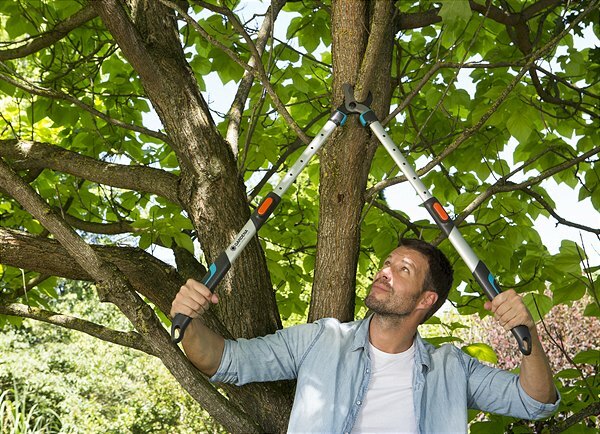 Hobby gardeners primarily use branch pruners when working at a height, meaning that they extend them until they can work on tree tops or trim high hedges without requiring a ladder.